23" glass table tops are the perfect mid-size table top or table protector. Side tables, night stands, patio table tops, and medium-sized DIY projects are the perfect use for this size of glass. 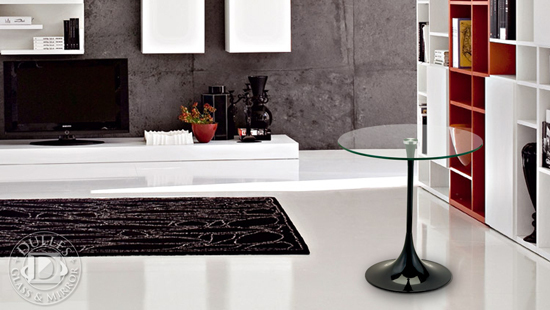 This table top size is available in two glass thicknesses: 1/4" thick glass and 1/2" thick glass. The ¼” size is suitable for a table cover, and comes with flat polished edges. Also available in some thicknesses are beveled edges and tempered glass with beveled edges. The tempered glass has been heat treated for extra durability. The attractive beveled edge simply means it has been polished down on the outer edge for a sleek look. Don’t forget to buy rubber desk bumpers if you are using the glass as a table cover or desk top and want to cushion the glass.